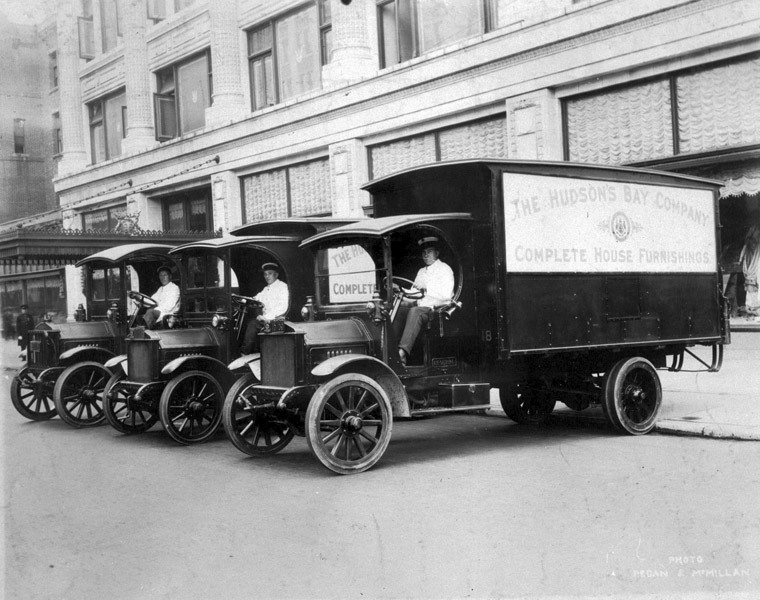 In 1909, a fact-finding mission headed by Harrods Chairman Richard Burbidge came to Canada to inspect HBC’s retail operations across the west. 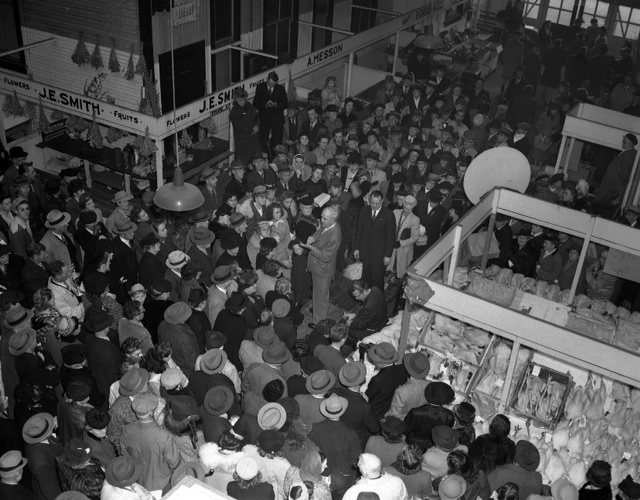 As a result of his investigation, Burbidge recommended that the Company make retail a free-standing division, separate from the fur and land business. 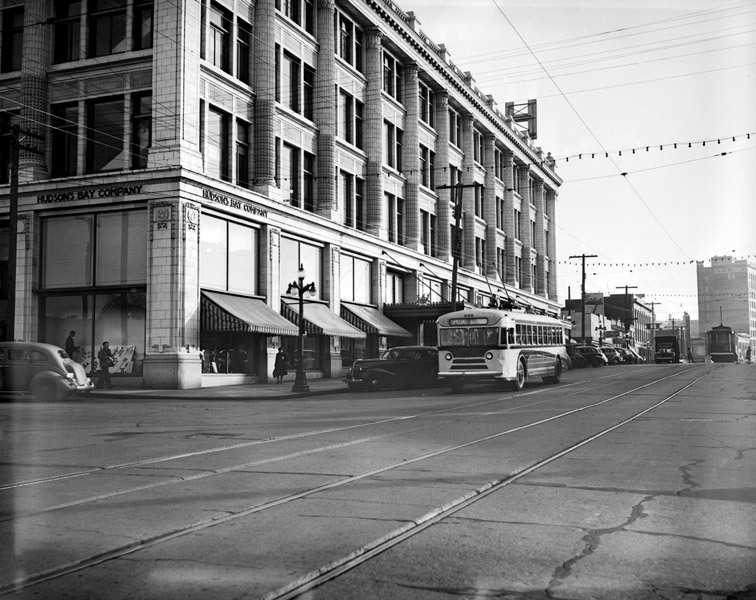 His proposals culminated in the building of HBC’s six great modern department stores across the west. Burbidge’s 1909 report specifically recommended that Victoria’s operation be converted from a warehouse depot to a retail store. 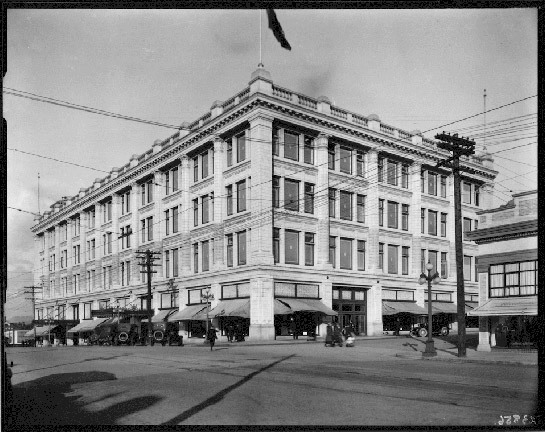 By 1913, construction had begun on the store, which would not be completed until nearly a decade later. Victoria’s new landmark at 1701 Douglas Street at Fisgard was designed by architects Burke, Horwood, and White. The construction was halted in 1914 due to the continuing economic depression and the labour shortage caused by the outbreak of World War I. 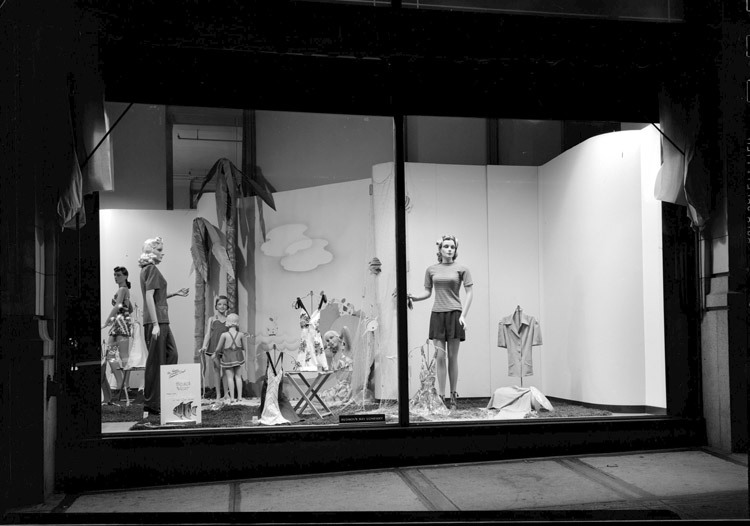 The store was finally opened September 19, 1921, an occasion marked by day-long celebrations. Guests included the Lieutenant-Governor, Premier, CPR President, and other heads of major department stores. 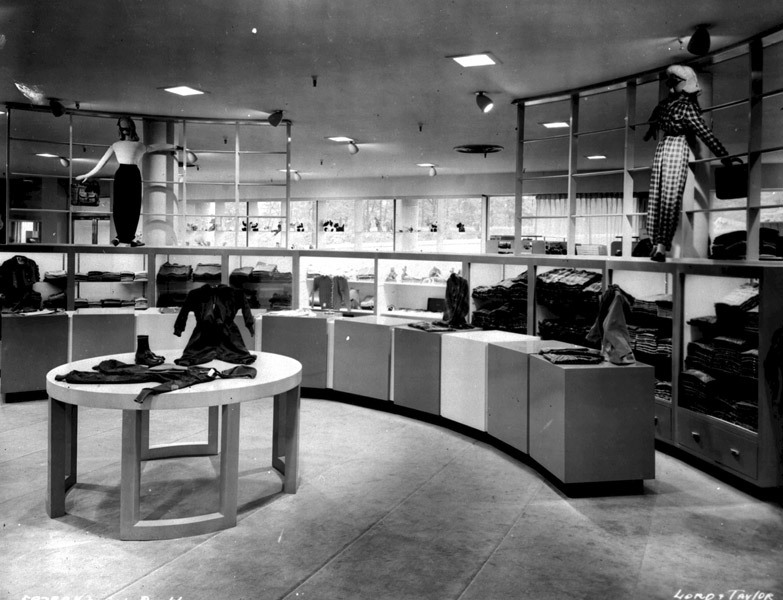 Built at a cost of $1.5 million, the new HBC Victoria store featured 50 departments and 250 employees. Situated adjacent to growing residential areas, by the end of that year it had become the nucleus of a new shopping district. 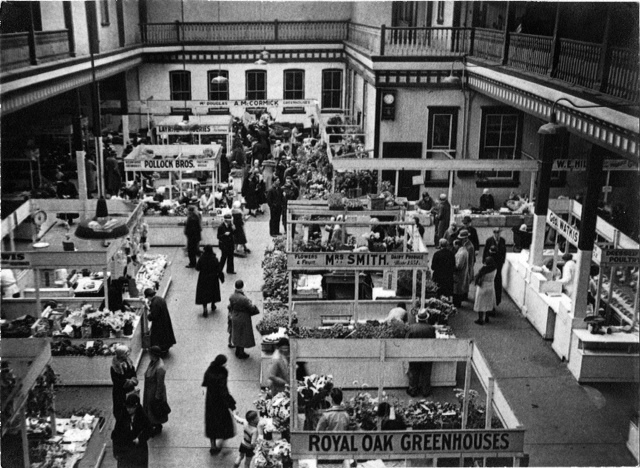 The Georgian style building was regarded as a prime example of modern architecture, and customers were overwhelmed by the store’s modernism, style, and elegance. The structure boasted the newest in heating, cooling, and ventilation systems, as well as state-of-the-art elevators and escalators which whisked customers from floor to floor. Gleaming mahogany and brass fixtures displayed a collection of the world’s best products, including the newest, “most up-to-date merchandise that is possible to procure.” There was a large circulation library on the mezzanine level, allowing weary shoppers to recharge with a good book in comfortable chairs while listening to the soothing strains of a live orchestra. For the hungry, the fourth floor Victorian restaurant boasted the ultimate in comfort and ambiance with its Jacobean furnishings set in a tasteful décor. In 2006, Townline purchased the entire site with the vision of not only preserving the iconic 4-storey department store, but revitalizing the area into a vibrant, new downtown neighbourhood – the Hudson District – where urbanites of all ages could live, work, socialize and play. Carefully incorporating heritage architecture with modern sensibilities, the building was faithfully restored to its former glory as stylish urban residences atop of street-level commercial, anchored by Victoria Public Market at The Hudson.